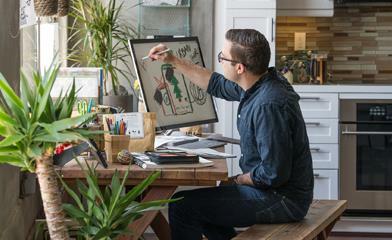 Today’s post was written by Jared Spataro, general manager for the Office 365 marketing team. Familiar and consistent Office experience—The Office apps combine the familiar look, feel and quality of Office with a touch-friendly experience designed for Android phones. Documents open and render beautifully, with all formatting and content in the right place. In addition, familiar navigation and menu options in the ribbon are placed at the bottom of the screen within reach of your thumbs so you can easily review and edit documents on your phone. 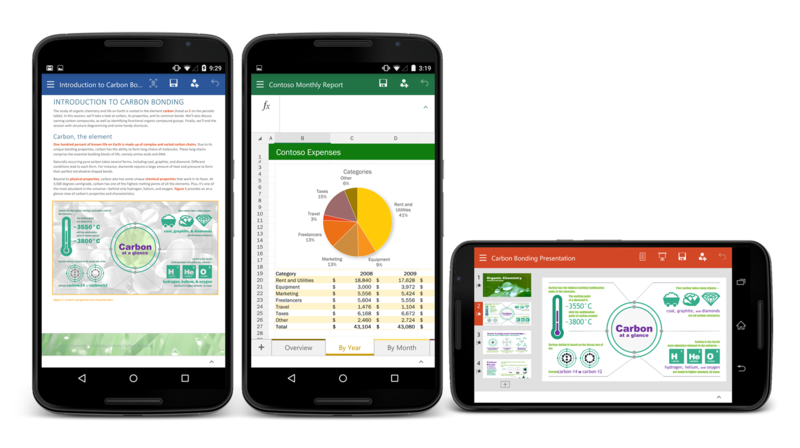 Word, Excel and PowerPoint apps make documents, spreadsheets and presentations look their best on your Android phone. Do great work—anywhere, anytime—With these new apps, you can be productive anywhere. Read, review, and make edits on-the-go. Turn numbers into insights with easy insertion of charts, text and tables in Excel. Tell your story on-the-go with PowerPoint—review, make quick edits and even present right from your phone. Reflow documents in Word to make them easier to read and navigate. Access your documents quickly—Create, open, edit and save files in the cloud from your Android phone so you can access them anywhere and anytime you need them. OneDrive, OneDrive for Business, SharePoint, Dropbox, Google Drive and Box and are all available to you. Work together—Share ideas, insights and presentations with others right from your phone. It’s easy to track changes, comment and markup documents so everybody knows the thinking behind the edits. Share your documents with others by simply emailing a hyperlink or attachment. Bringing these apps to Preview first provides you with an early look at the apps, while enabling us to gather critical user feedback helping us shape and improve the app experience on a wide range of Android phones across the world. The feedback we received from the Office for Android tablet Preview in January was critical to ensuring a high quality and consistent Office experience across Android tablet devices. Thank you! Please note that the existing Office Mobile app for Android phone will still be available in the app store during Preview. We will disclose more about our plans for this app later in the year when we announce general availability of the new Office for Android phone apps. Once you join the community, Become a tester by clicking the links to the Word, Excel and PowerPoint.